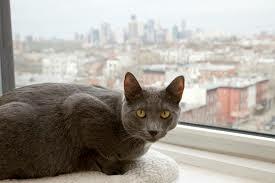 A young cat who lives on the 17th floor of an apartment building falls 13 stories and miraculously survives. Brennan is a cat who just may have used up one of his nine lives. The adorable orange kitty lives on the 17th floor of an apartment building, and one day while his owner was out he suddenly found himself on the wrong side of the window. Brennan fell a terrifying 13 stories, landing on a deck on the fourth floor. When his distraught owner discovered him, he was immediately rushed to an emergency veterinarian. Brennan suffered a broken shoulder and a dislocated hip. 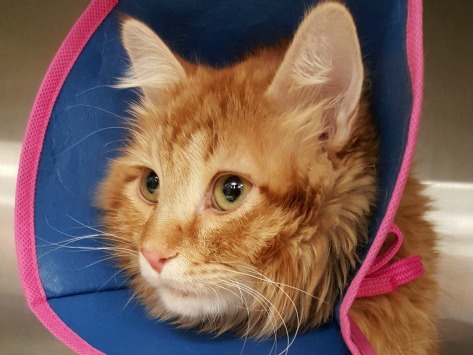 He was placed under the care of Dr. Andrew H. Jackson, DVM, to undergo reparative surgery.